Polygon Physics wins the “SFV Prix de l’Innovation” at the “Salon du Vide et des Traitements des Matériaux” (SVTM 2017)! The exhibition took place in Nice this year, and was spread out over two days. The SVTM attracted over 130 exhibitors and more than 1000 participants. Each year the SVTM awards one company in the category ‘materials treatment’ (A3TS award) and one in the category ‘vacuum technology’ (SFV award). The jury was presided by a representative of Kurt J. Lesker Company, the winner of last year’s SFV award. 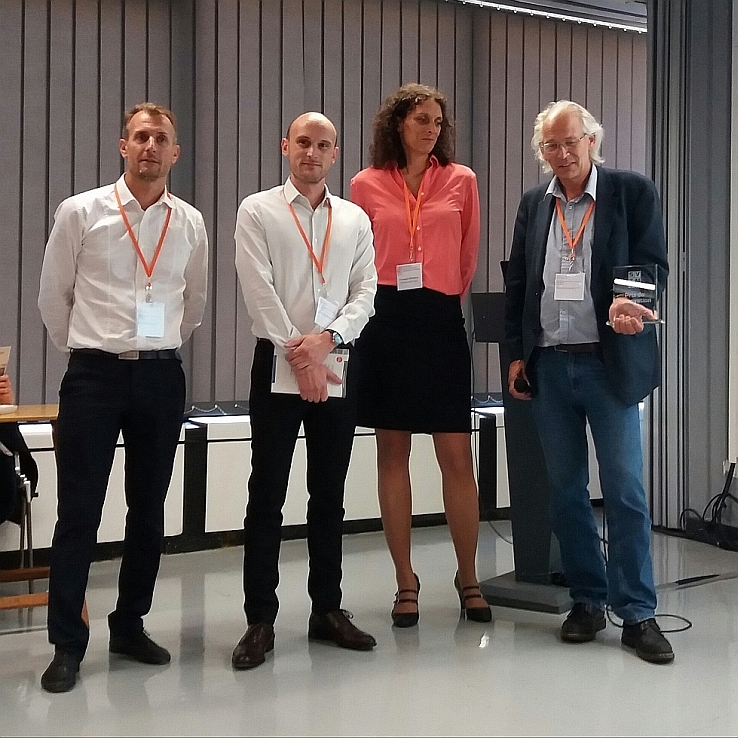 The SFV Innovation Award was granted to Polygon Physics for its HEXAR technology: a modular concept that enables the creation of plasma and ion beams for the vacuum treatment of surfaces of any shape and size.